Loudoun is commonly known as DC&apos;s Wine Country because of the 40+ beautiful wineries and tasting rooms throughout the county. 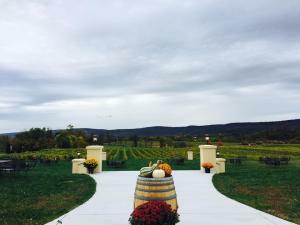 Since trying to visit all of the wineries during one vacation may be a little ambitious, the wineries are segmented by clusters throughout the county so you can visit a few during your time in Loudoun for a richer experience. The number of craft breweries that have joined Loudoun in the past few years is definitely "loco". There are now over 20 craft breweries...let me repeat...20 breweries in Loudoun! Within the LoCo Ale Trail, there are many other trails for guests to enjoy a handful of breweries during their stay in Loudoun such as the Monroe trail which takes you to the tasting rooms down historic Route 15 or the Brews by Bike Trail that runs (or bikes) along the Washington & Old Dominion Trail. After reading about the many great wineries and breweries in Loudoun, family-friendly fun may be far off of mind, but bring it back in. With Loudoun&apos;s rich history, agriculture and great activities, it makes it a great place to bring the family for vacation. 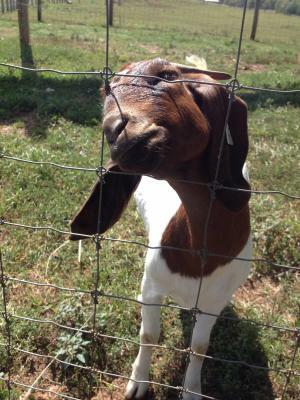 Take the family to Great Country Farms for apple picking, Temple Hall Farm Regional Park to see camels and take a hayride, learn about the history of Loudoun at the Loudoun Heritage Farm Museum or get active outside at Harper&apos;s Ferry Adventure Center. As Valentine&apos;s Day quickly approaches and romance is on the mind, think about having a whole vacation dedicated to romance instead of just the day in February. There is no shortage of activities for you and your significant other to partake in throughout a vacation in Loudoun. Surprise your sweetheart with a trip to the spa for a couples massage, enjoy an intimate dinner for two at one of our many unique local restaurants or enjoy a local drink cuddling in front of the fire. If you&apos;re the type of person who always enjoyed climbing trees the were too tall for you as a kid, then plan a vacation in Loudoun that encompasses our great outdoor recreational opportunities. 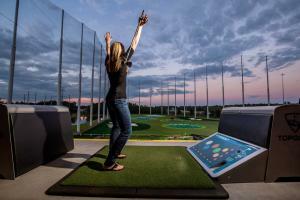 Start by flying through the trees at Empower Adventures, head to iFly to get that free-fall feeling at the indoor skydiving facility and finish the night off at TopGolf for a high-tech driving range experience. You&apos;ll get outside and stay active during your recreational retreat in Loudoun. Take advantage of this National Plan For Vacation Day and start thinking about what kind of experience you want. These are just a few experiences that can be found in Loudoun, but if you have need and more don&apos;t hesitate to reach out!